A value proposition is a promise of value stated by a company that summarizes how the benefit of the company’s product or service will be delivered, experienced, and acquired. Essentially, a value proposition specifies what makes the company’s product or service attractive, why a customer should purchase it, and how the value of the product or service is differentiated from similar offerings. Generally, the value proposition is addressed to the company’s target customers or target market segmentTotal Addressable Market (TAM)Total Addressable Market (TAM), also referred to as total available market, is the overall revenue opportunity that is available to a product or service if 100% market share was achieved. It shows the level of effort and funding that a person or company can put into a new business line. The concept is important to. The proposition takes the form of a short, clear, and concise statement of the tangible and intangible benefits that will be delivered to potential customers. The perfect proposition must quickly transmit the values to the potential customers without the need for further explanation. Each proposition must be unique as it is a method to communicate the differentiation points of a company to the target customersTypes of CustomersCustomers play a significant role in any business. By better understanding the different types of customers, businesses can be better equipped to develop. 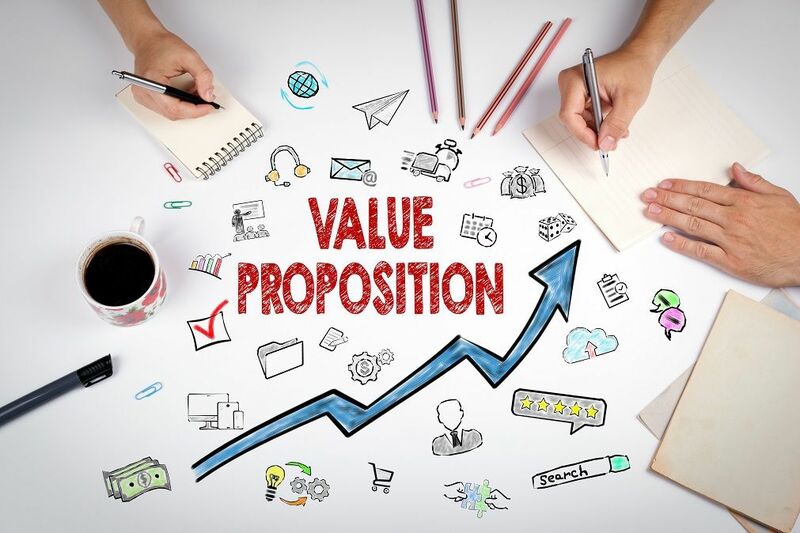 The value proposition must not be confused with slogans and catchphrases, as the latter two do not convey the benefits of a company and its products and are solely intended to attract the customers. The development of a value proposition is a vital part of a company’s business strategyCorporate StrategyCorporate Strategy focuses on how to manage resources, risk and return across a firm, as opposed to looking at competitive advantages in business strategy. At the same time, since the proposition provides the company with the method to influence the decision-making of customers, it is frequently displayed on the company’s marketing materials such as a website. The value proposition is a powerful tool to drive sales and build a customer base. Additionally, a perfect and compelling value proposition can advance the effectiveness of the company’s marketing strategiesWalmart Marketing MixWalmart is a powerhouse of a business, and one of its key strengths is its marketing mix. Surviving in the retail market requires more than just luck or a large capital base. For such a large business, Walmart’s management practices give it continuity. Their success lies in the Walmart Marketing Mix.. Generally, it is regarded as the most effective and wide-reaching marketing activity. Before creating your value proposition, you must analyze the market and potential customers. Identify your target customers and target market segment to understand their desired benefits. Identify and assess the benefits and costs delivered by your company and its products or services. It is important to do so because the value to your customers is essentially the difference between the benefits and costs of your product or service. After the analysis of target customers and the company, evaluate the competitive landscape in the market. Determine the strength and weaknesses of your major competitors and find how you can differentiate your business from them. Don’t forget that an effective value proposition is clear and concise. Your target customers must quickly grasp the message you want to convey. The value proposition must not exceed two or three sentences. Make your value proposition visible and appealing on all marketing materials (e.g., website). Remember that even if you created a powerful value proposition, but no one can see it, the effect of the proposition would be zero! AIDA ModelAIDA ModelThe AIDA model, which stands for Attention, Interest, Desire, and Action model, is an advertising effect model that identifies the stages that an individual goes during the process of purchasing a product or service. The AIDA model is commonly used in digital marketing, sales strategies, and public relations campaigns.